Rapidly becoming one of the most sought after ingredients of the natural health world, hyaluronic acid (HA) is essential to maintaining the health of joints and cartilage. Although hyaluronic acid is found throughout all of the bodies tissues, it is primarily concentrated in the extracellular areas of the skin and in the synovial fluid. Synovial fluid moisturizes and lubricates the cartilage found in our joints and lack of this substance may lead to joint stiffness and pain. As we age our bodies lose the ability to manufacture sufficient quantities of hyaluronic acid and supplementing often becomes the only method of insuring an adequate supply to allow smooth, pain-free movement of our joints. Hyaluronic acid has been shown to support wound healing. In a study entitled “The properties of hyaluronan and its role in wound healing” published in 2001, HA is discussed as having wound healing properties. It seems to work through its water retaining properties. HA specifically is a key nutrient in joint health. 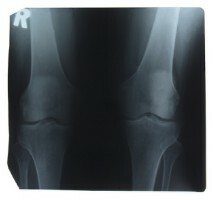 In a review by Moskowitz from Case Western Reserve University entitled “Hyaluronic acid supplementation” and published in 2000, he states that “Hyaluronan preparations have been shown to decrease pain and increase function in patients with osteoarthritis of the knee.” HA seems to work through several mechanisms of action including restoration of more normal synovial fluid with improved viscoelasticity, effects on cartilage biosynthesis and degradation, anti-inflammatory effects, and direct analgesic effects. This is the most important effect it has for athletes. It can actually be taken to support healthy joints (preventative maintenance), not only to support recovery from joint injury. Like all Bio-Alternatives products, our Liquid Hyaluronic Acid (HA) contains none of the unnecessary fillers and additives found in most other brands. Liquid hyaluronic acid is absorbed by the body more readily than capsules or pills making it the best form for supplementing. We guarantee that you can find no higher quality hyaluronic acid at any price anywhere so why pay more? When it comes to price and quality Bio-Alternatives simply can't be beat! As a Dietary Supplement take 2 droppers full twice daily.